We have been testing the new Next Generation of ZeusMiner Scrypt ASICs (Zeus Lightning X6, Zeus Thunder X6 and the Zeus Hurricane X6) for a few days already and have already reported our very first impressions. 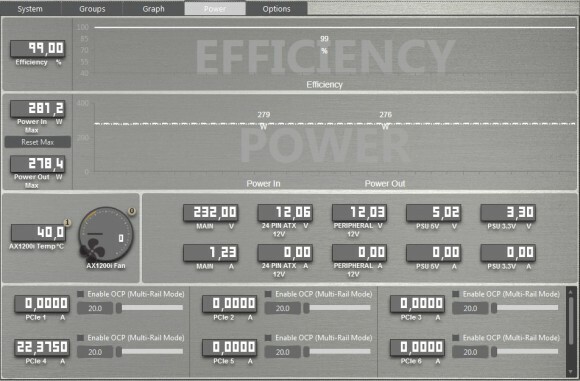 Now we have some more interesting findings and information available to share with you based on our continuing tests, this time we are going to focus on the power usage of the new X6 series of miners that are supposed to be more power efficient – their key feature. What Zeus has done with their ZeusMiner X6 Scrypt ASICs is essentially lowering the operating voltage and power and thus achieving lower power consumption. If this was not also combined with new lower prices as well the new X6 miners would not be so interesting, but their new lower prices (even though you cannot yet take advantage from them directly buying from Zeus due to their pre-order 1+1 bonus promotion) at their distributors are actually quite attractive combined with the lower power consumption. We have already discovered that the best operating frequencies of the new miners (there is no recommended frequency published on the official website for the advertised hashrates) seems to be at about 245-250 MHz for the ZeusMiner Thunder X6 and the ZeusMiner Hurricane X6, however the ZeusMiner Lightning X6 does not appear to be handling so well at these operating frequencies. In fact even at 230-235 MHz we are still seeing HW error rate of about 10% or more which in our opinion is a bit too high, but going lower in terms of operating frequency does lead to decrease in the hasrate of about 40-42 MHS. So what is the reason for this difference? We have already suspected that the operating voltage of the Lightning X6 is even lower than what it is on the smaller Thunder X6 and Hurricane X6, but checking out the actual power consumption of the miners and opening them up to inspect them has confirmed our suspicion. Zeus has even made it very easy to spot the difference by putting a label of the actual voltage used by each board and as you can see on the photos, the Thunder and Hurricane X6 miners have 1.1V used and the Lightning X6 has the chip voltage lowered to 1.05V. This is probably done in order to get the total power usage of the Scrypt ASIC miner below 1 KW, but as a result you will need to use an operating frequency of about 220 MHz for low HW error rate and the hashrate you can expect is more like 36-38 MHS and not 40-42 MHs. But this is not the only concern we have with the new miners as Zeus has done some more optimizations, probably with the idea to cut costs further, that we do not like very much. We are stating with the power usage of the 9-10 MHS ZeusMiner Hurricane X6, according to the official specifications is should use about 230W of power and a good 250W power supply is recommended, though you probably will not be able to find a 250-300W 80 Plus Gold or Platinum PSU, you can use a more powerful one. Running the Hurricane X6 miner at 250 MHz operating frequency we have measured an actual power consumption of about 276-278 Watts. This is a bit higher than the claimed power usage, and though it may not be such a big of a deal, when you consider that the miner is powered via a single 6-pin PCI-E power connector this raises some concerns. Moving to the power usage of the 18-20 MHS ZeusMiner Thunder X6 we see on the official website a power consumption of 450W claimed with a good quality 500W power supply recommended. Our tests have shown a different number running the miner at 250 MHz, the number we got is more like 542-546 Watts and that is like 100W more. This is essentially double the power usage of the Hurricane X6 as the Thunder X6 does have twice the number of chips inside, so it is to be expected if both miner run at the same frequency and use the same voltage for the ASIC chips. 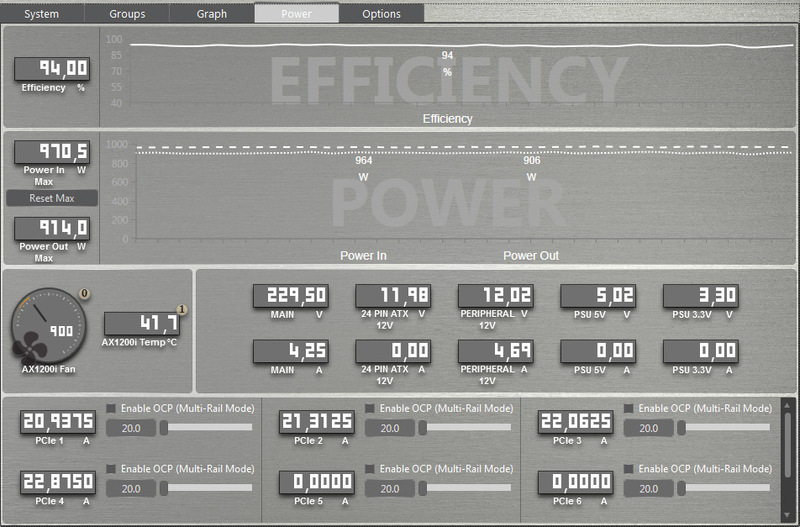 Next up is the power usage we have measured for the 40-42 MHS ZeusMiner Lightning X6 Scrypt ASIC. The officially cited power consumption is 980W with a good 1200W PSU as a recommendation. Our tests have shown actual power consumption for the miner at just about 906-914W at an operating frequency of 230 MHz and about 970W measured at the wall (taking into account the PSU efficiency). Here the power consumption is not double the one from the Thunder X6 even though the number of chips inside is doubled and the reason for that is the lower voltage of the chips that is 1.05V instead of 1.1V. 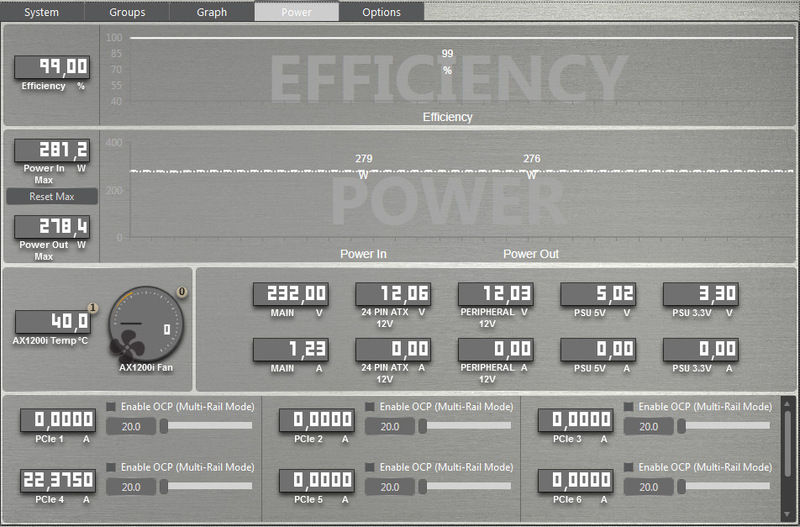 It has been lowered as otherwise the actual power consumption should’ve been something like 1100 Watts at 1.1V. We’ve confirmed that the power consumption numbers on the ZeusMiner website are not entirely correct, they are lower on the smaller miners and higher ton the top miner compared to what we have measured. That however is not the actual problem here, the problem and the thing we did not like much is the fact that Zeus has reduced in half the number of PCI-E power connectors available to power the new miners. As you should know by specifications power supplies are designed to supply 75W over the 6-pin PCI-E power connector and 150W over the 8-pin PCI-E power, even though the actual hardware is usually capable of supporting higher power as these were originally designed to power video cards. The 18 AWG wires used normally in most power supplies (some use 16 AWG) and the connectors should be capable of 8-10A over a single 12V wire and with 3x 12V lines on both 6-pin and 8-pin PCI-E power connectors this should in theory easily cover up to 300W. The problem however comes from the fact that PSU manufacturers are not required to design their products to handle so much power over a single rail for PCI-E power connector and most don’t do it, even if they do supply some extra over the 75W/150W requirements they have. So 300W per single 6-pin PCI-E power line can be a bit overkill for an ASIC miner running 24/7 and the easiest way to confirm that without special equipment is to check the wire by touching it after the miner is started. if it quickly gets hot, then things are definitely not Ok, though it is just a bit warmer to the touch it might be fine. Having 278 Watts of power provided to the ZeusMiner Hurricane X6 over a single 6-pin PCI-E power connector is something that raises some concerns, so you should be extra careful what power supply you are using. 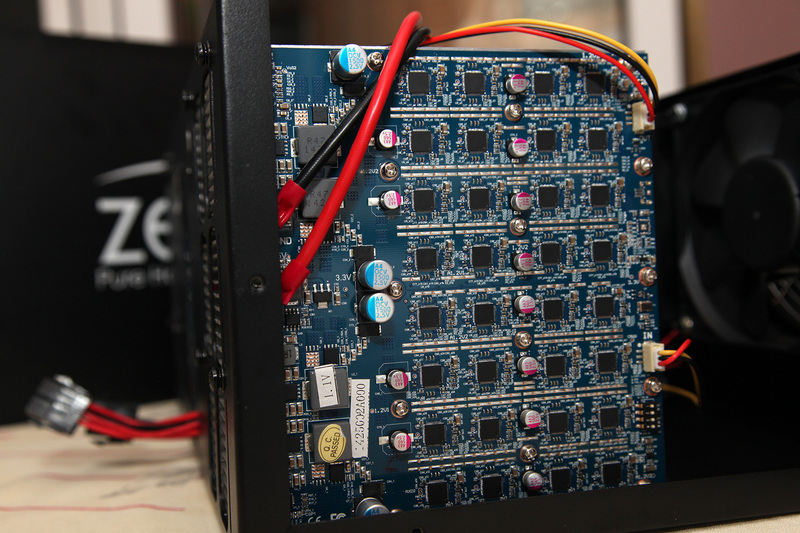 With the ZeusMiner Thunder X6 the situation is very similar, though here you have two 6-pin PCI-E power connectors with each transferring about 273 Watts of power. Things are a bit better with the ZeusMiner Lightning X6 that has 4x 6-pin PCI-E power connectors with each one getting just about 228.5 Watts. So what ZeusMiner should have done is actually double the number of PCI-E power connectors on their miner to distribute power more evenly to each board and to lower the load on each of the PCI-E power lines. We do recommend to be extra cautions when you are setting up the new miners and check the cables to make sure that they are not getting very host quickly after you turn on the miner as this may potentially lead to damage of the hardware – both the miner and the power supply and this is something that you will want to avoid. Earlier this month ZeusMiner has announced their next generation of Scrypt ASIC miners (X6) that are supposed to use less power than the previously available X3 miners. 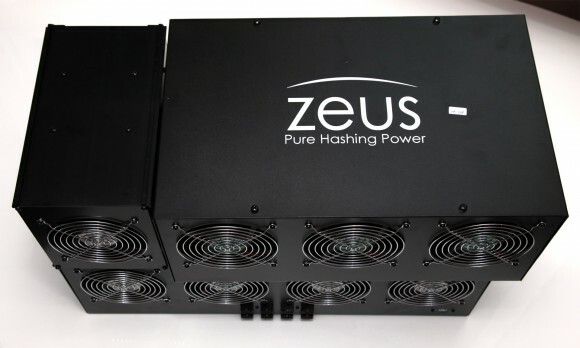 Thanks to MinerEU, an official ZeusMiner partner, today we have received three out of the four new X6 miners and have decided to share our first impressions with more to follow in the next few days along with detailed reviews of the Zeus Lightning X6, Zeus Thunder X6 and the Zeus Hurricane X6 with a Zeus Blizzard X6 still on the way. If you have been following the development of the ZeusMiner Scrypt ASICs you will probably notice that the new X6 miners are essentially almost the same as the previous generation, just running at lower voltage and operating frequency of the chips in order to use less power and sill provide good hashrate. That, along with new lower prices, actually does make the new ZeusMiner X6 Scrypt ASICs really interesting miners to invest in even with the current market conditions. The new ZeusMiner X6 Scrypt ASIC miners with lowered power usage and prices in fact may offer you one of the quickest return of investment, so if you were considering investing in a Scrypt ASIC, then you should definitely do some profit calculations. Of course nobody can predict the increase in network difficulty or the fluctuations in the price, but if things remain stable you might be looking at less than 2 months to break even if mining Litecoins. So what is different with the new ZeusMiner X6 Scrypt ASICs? They do come in the same boxes and use the same chips, however the difference is that the chips are now running at lower voltage and operating frequency. The result you get is lower power consumption and still a good hashrate, without pushing the chips close to their limits. We have opened up the new Thunder X6 to see that it is pretty much the same picture as we’ve seen with the previous miners. Each board has the same number of chips, we did notice a sticker that says 1.1V on the board, so this is probably the new operating voltage (down from 1.2-1.3V). There is also one less power mosfet on the board for each of the power blocks, probably removed as a result of the lowered power consumption. This however does mean that you might not be able to play much with overvolting the new units by replacing resistors or at least the headroom for that will not be much. We could not find an official or recommended operating frequency for the new X6 miners, but we already knew that it will be lower than the sweet spot of about 328 MHz. So we’ve started going down and it seems that the new sweet spots in terms of operating frequencies for the lower power units are somewhere in between 235 and 250 MHz. This is the range where we get hashrate close to what is being advertised and at the same time the HW error level remains low, though we are going to play some more with the frequencies to narrow down what works best with the default setup and with no hardware modifications. So far we are happy with what we are seeing from the new ZeusMiner X6 Scrypt ASICs and you can expect more as we continue using and testing the units in the following days. A few days ago ZeusMiner has released a teaser video about their new Scrypt ASIC miner prototypes with 30% lower power usage. And now they have officially announced the new models with their specifications and made them available for pre-order. ZeusMiner calls the new miners Next Generation Miners and they have introduced 4 new models, claiming to have cut the power consumption in almost half compared to the previous generation of miners. The new miners are supposed to be shipped out within 7 days of pre-ordering, however do note that these pre-orders do require full payment. And for the first batch of the next gen miners ZeusMiner is giving away free bonus Scrypt ASIC miners from the previous generation along with your new miner. So essentially you are getting almost like between 1/3 and 1/2 more hashpower than the standard hashrate for a single new miner, and this is not a bad deal at all. Now, if you wonder how Zeus has managed to squeeze more hashrare from the same 55nm Scrypt ASIC chips they are using or alternatively how they have managed to lower the power consumption, well the answer is pretty easy. They have apparently squeezed more chips running on lower frequency/voltage and thus needing less power and producing less heat. This makes the production price of the ASIC higher, however is the easiest way to optimize performance and hashrate without having to make new chips. In fact we have already seen other ASIC manufacturers taking advantage of the same approach and it works well for both the company and the customers, giving some extra time to develop new hardware.